AlinO.-Linear shower kit is ideal for curb less shower of large format tile, You can make allmost any size of shower with preslopled AlinO.-Linear Shower Tray. Pre-sloped Linear Shower shower tray bonded with waterproof membrane for easy and faster installtion. No need for heavy and time consuming mortar base. It is designed to accept up to 54"Alino Linear Drain on the channel body. Linear Shower tray can be easily cut by utility knife to make any size up to 60"x60" Wall drain application. Linear drain made out of 304 stanless steel to protect against corrosion. "Two-in-one" (SS Grate & Tile Insert) grate provides modern look, and can be converted from stainless steel grate to tile insert very easily. It comes with 2" pipe outlet and odor protector.Height Adjustable feature can allow to install any tile thicknesses. It's available in different finishes and sizes.AlinO Gard membrane and accessories help to create a water tight shower system. 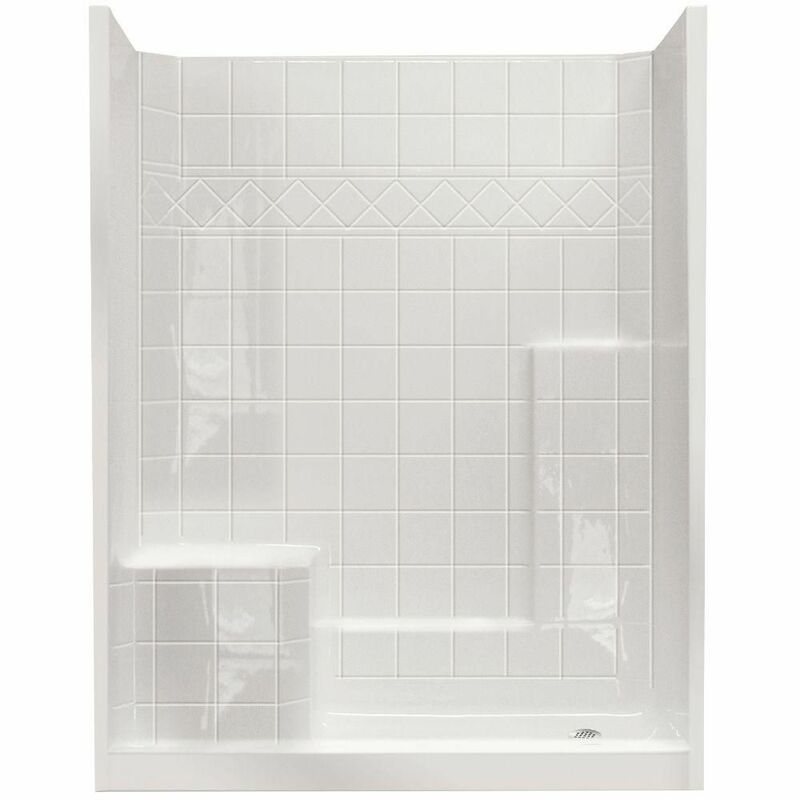 Standard 32 Inch x 60 Inch x 77 Inch - 3-Piece Shower Wall and Base Kit in White with 4 Inch Low Threshold is rated 2.7 out of 5 by 14. Rated 1 out of 5 by HomeDepotCustomer from After area was fully prep for installation it took the installer a full day to install the shower... After area was fully prep for installation it took the installer a full day to install the shower. The base unit was not level and the 2 wall panels would not align. It needed extensive shimming, grinding and notching wall studs to make it to go together. Our contractor has installed and built showers for over 20 years and this is the worst product he has ever installed. The quality control at the factory is very poor. All 3 pieces should align and drop in place. This product would be a nightmare for a home owner to install. Once installed it looks good and structural it is very strong and will last forever. The product needs major quality control improvement at the factory.